We’ve blended community and commerce to create a gathering place for productivity. Our new community workspace in Liberty Station will help you get through your daily grind with an environment that fosters collaboration and inspires creativity. This inclusive space welcomes anyone looking to do good work among good people: individuals needing a place to set up their laptops and meet their deadlines (with the occasional game of ping pong compliments of our outdoor patio), or small businesses wanting to cultivate a culture of engagement and efficiency (with team outings to use our amenities like paddleboards and community bikes). 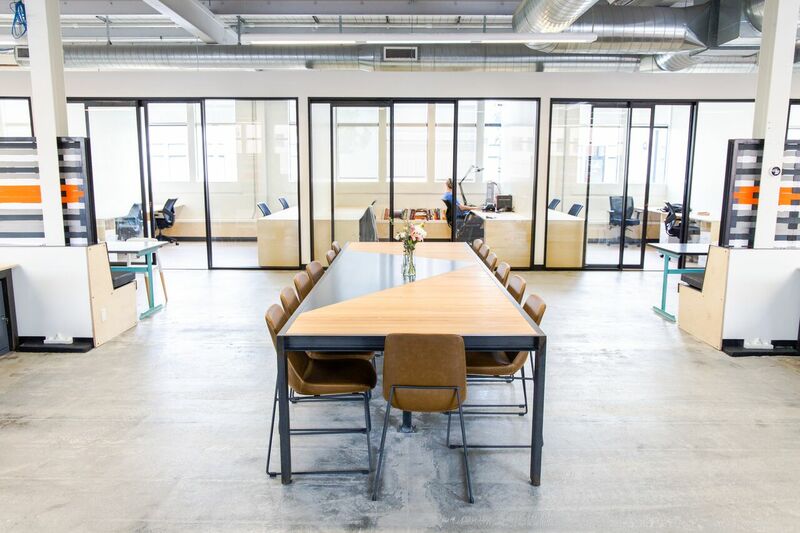 With different tiers of membership ranging from open seating to private desks to fully fixturized private offices, there’s also common areas where everyone can share, socialize, and network. The space can meet whatever needs you have — just as long as your needs include connecting with a community of like-minded people that make you excited to head into the office. more info at Moniker Commons.